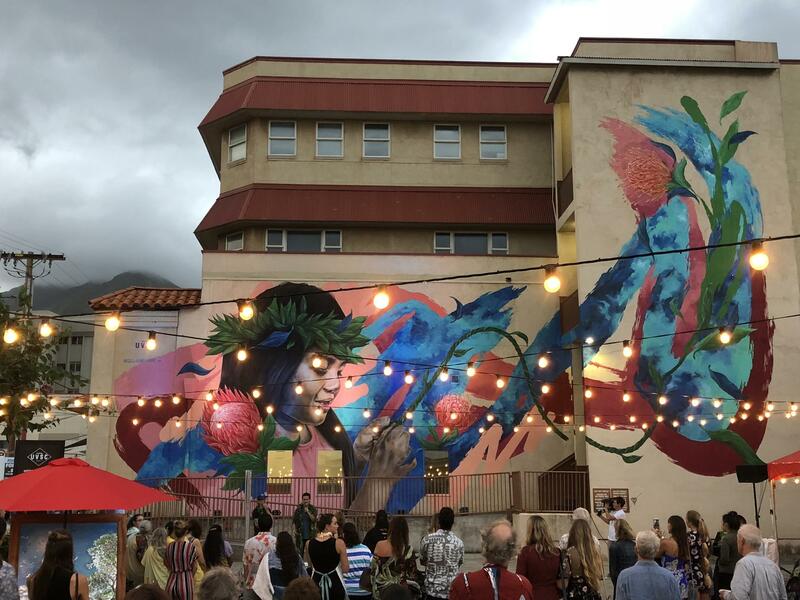 A new 4-story mural was unveiled in Wailuku Town on Friday. 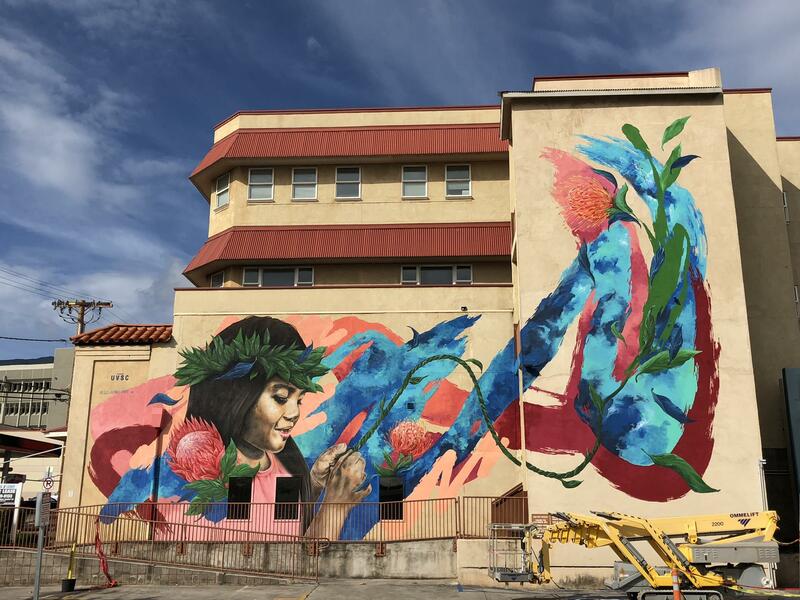 The “Mural of Hope” on Main Street was created by artists Kamea Hadar of O‘ahu and David “MEGGS” Hooke of Australia. It is dedicated to the launch of UVSC (U vs. cancer | US vs. cancer) whose mission is to bring people together to provide a hopeful future for cancer patients. 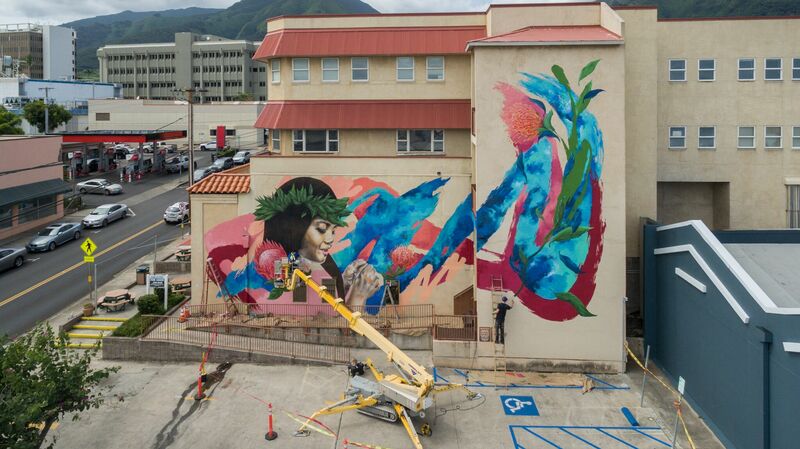 The mural celebrates Wailuku Town and features Maui native, six-year-old Bree Haunani Michie Lau Hee, daughter of Wailuku residents Ikaika and Keanu Lau Hee. 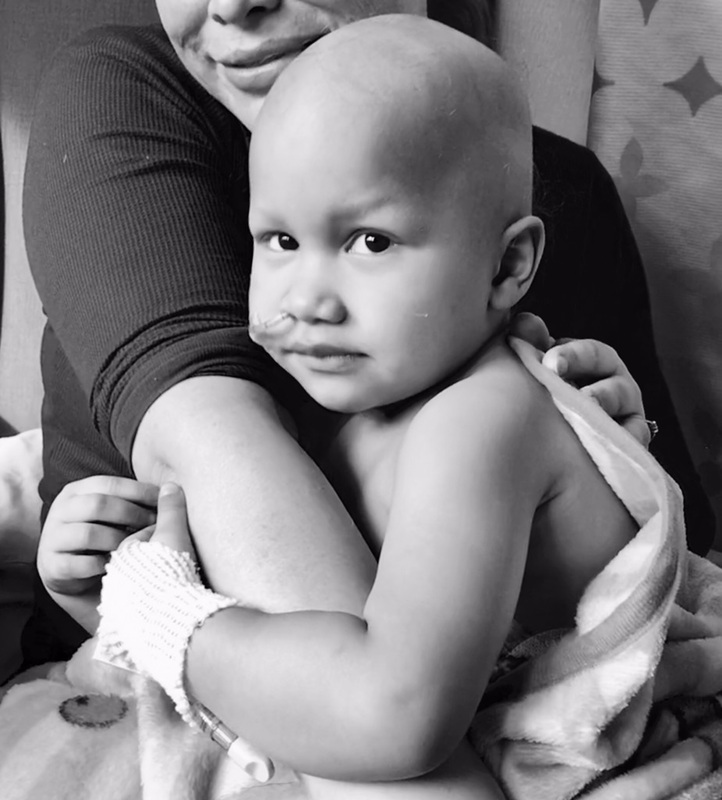 Lau Hee is not a cancer patient, but was selected to represent hope for the future, with “the future” being represented by keiki. The blue hues reference the strength of life in water, flowing from ʻĪao Valley in the distance, with floating protea flowers symbolizing the rising sun of Haleakalā with a promise of a new day. The ti leaf plant represents the healing, protection and blessings. 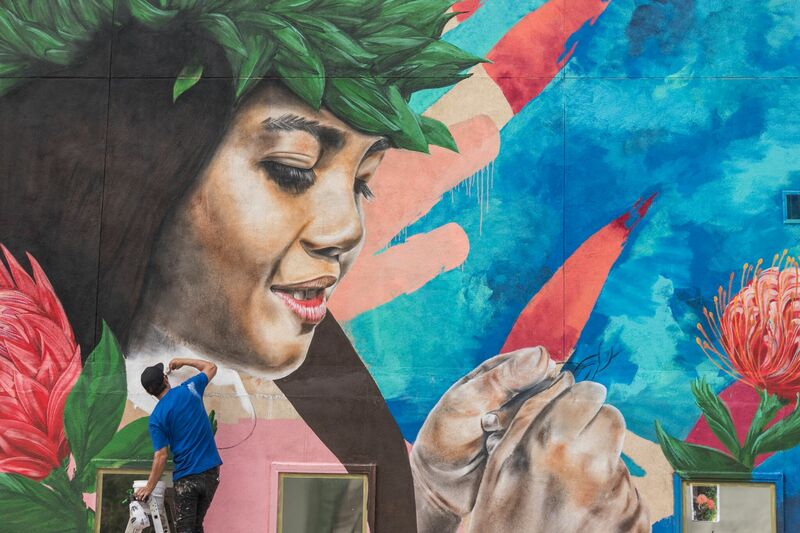 The young girl weaves the leaves to illustrate the idea of community and support of one another. “With a goal of bringing together a community to bravely help in this fight, this lasting creation will always remind us to never give up in the battle against cancer,” event organizers said. 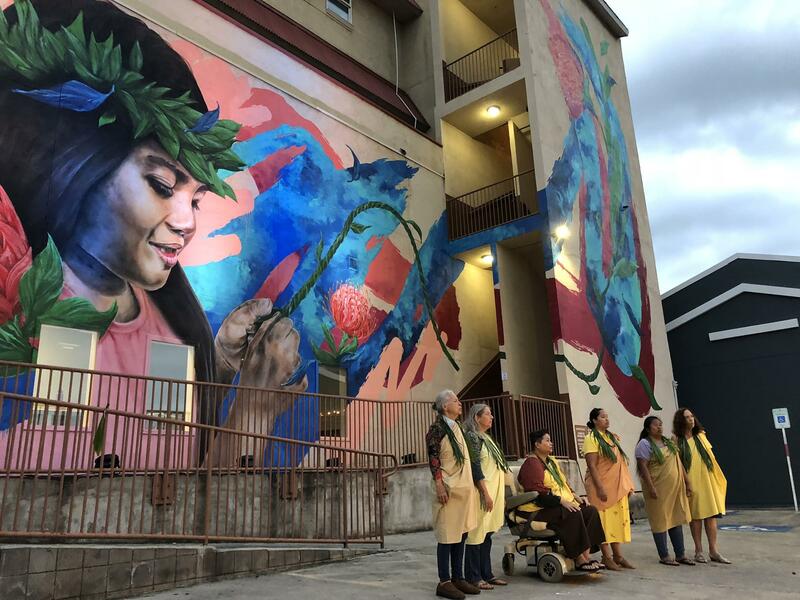 The mural was blessed and celebrated on Saturday, February 24th during the inaugural UVSC fundraiser, “Paint & Pupus.” The event started with a traditional blessing of the mural by Hālau Nā Hanona Kulike O Piʻilani with the West Maui Mountains as a breathtaking backdrop. 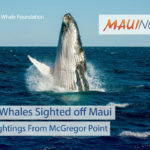 Throughout the night, celebrity chefs Sheldon Simeon of Tin Roof, Dave Caldiero of Town Kaimuki, Jojo Vasquez of Plantation House Restaurant and Greg Gifford of Duke’s Maui passed out exquisite pupus to guests. 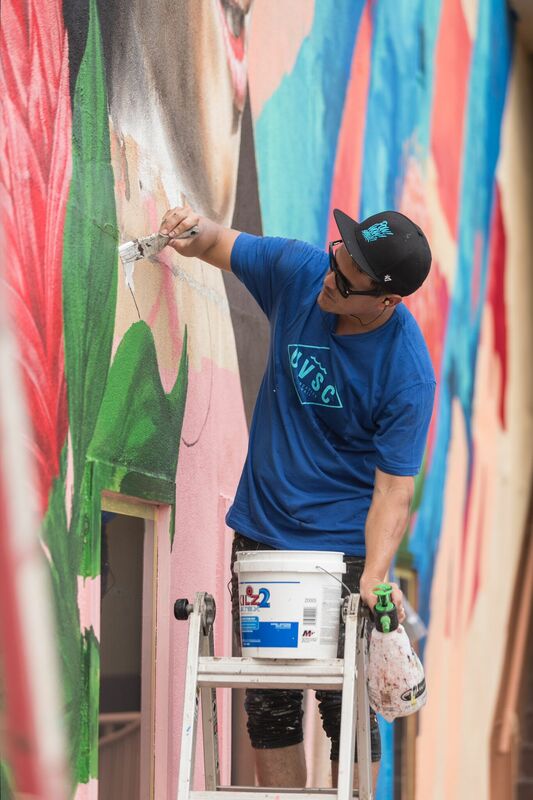 Live art was happening by Kamea Hadar, Defer, Meggs and Lanakila Creations that were auctioned off to support UVSC. Guests enjoyed great music, cocktails by 808 on Main, a silent auction and overall, a fun, community event to support this great cause. 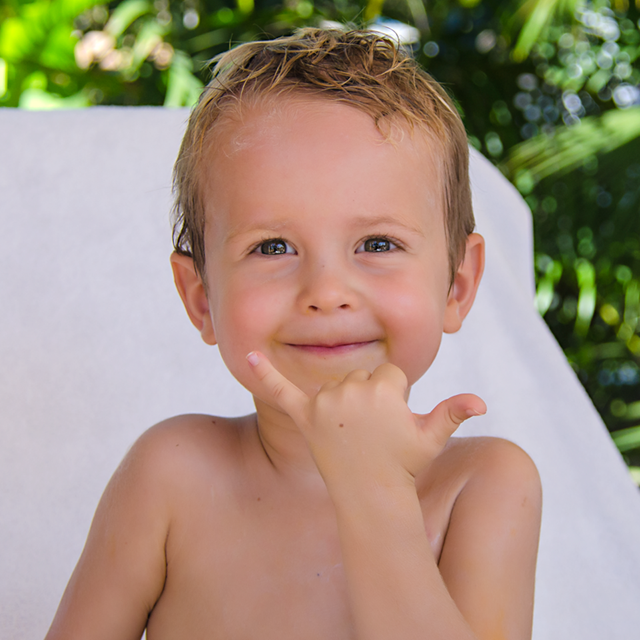 UVSC was started by a few friends, including Maui boy, Jamil Newirth, a cancer survivor. Jamil was diagnosed with a rare type of brain cancer called Glioblastoma and was given seventeen months to live. After being given a treatment opportunity with a neurosurgeon at UCLA Medical Center, Jamil not only exceeded his seventeen months but is going on five years of being cancer-free. 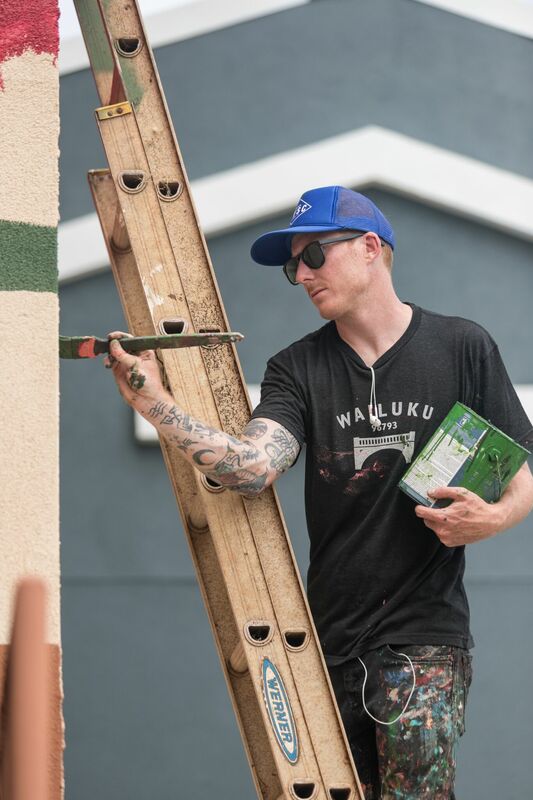 After the community came together to support him through his battle against the disease, Jamil felt starting a non-profit to help others in need was something he had to do in return. UVSC raises funding for individuals and families battling the disease and supports cutting-edge research that provides hope when all feels lost. 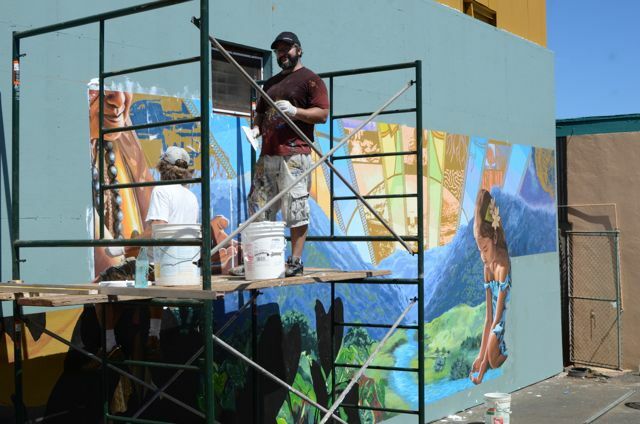 Curated by Temple Children in partnership with MAPA and the Wailuku community, the mural could not have happened without the support of Maui Brewing Company, the Frost Family Foundation and Goodfellow Bros., Inc.